Our new album is called Another Other. One theme is my own upbringing as the son of immigrants, and the unclear, in-between areas so many people on the move live in. I think a lot about the journey of my own parents, and the resilience and discipline they needed to start again in a new place, where they’d be constantly in-between cultures. I had it easy because of them. It’s easy to dismiss the party conventions as political theater and let cynicism write off their genuine moments of substance and heart. I usually do that. It’s fun. 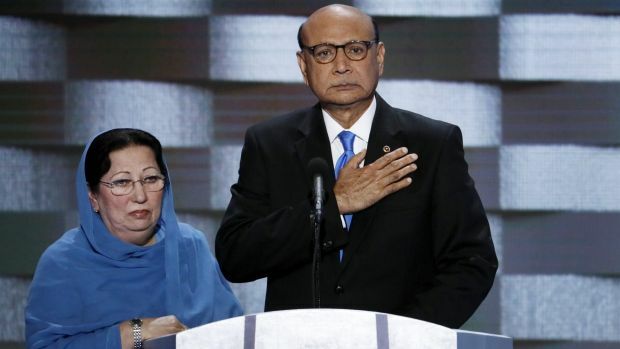 Khizr Khan’s speech at the DNC beat the snark right out of me, and served as a sober reminder that immigrants like my parents and the Khans formed this country, and are this country. There’s no division line; they are us and we are they. We’d be nothing – and I wouldn’t be here – without the people in the in-between.